It looks like sneakerheads and Kobe fanatics alike both celebrated Mamba Day last week on April 13th. 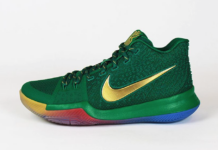 The Boston Celtic’s superstar, Kyrie Irving, took it to social media to flaunt an exclusive colorway of the Bruce Lee Nike Kyrie 3 highlighting Red uppers and Tour Yellow slash marks as well as a speckled midsole. 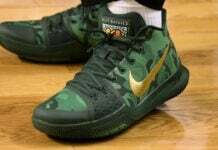 Last year, Nike basketball dressed the Nike Kyrie 3 in the “Bruce Lee” theme, which made its first appearance back in 2009 on the Nike Kobe 5. 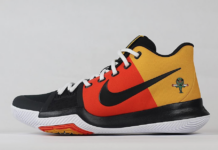 The original Kyrie 3 “Bruce Lee” that released back in September was the reverse of this pair, featuring full Yellow uppers and Red slash marks in honor of the martial arts legend. 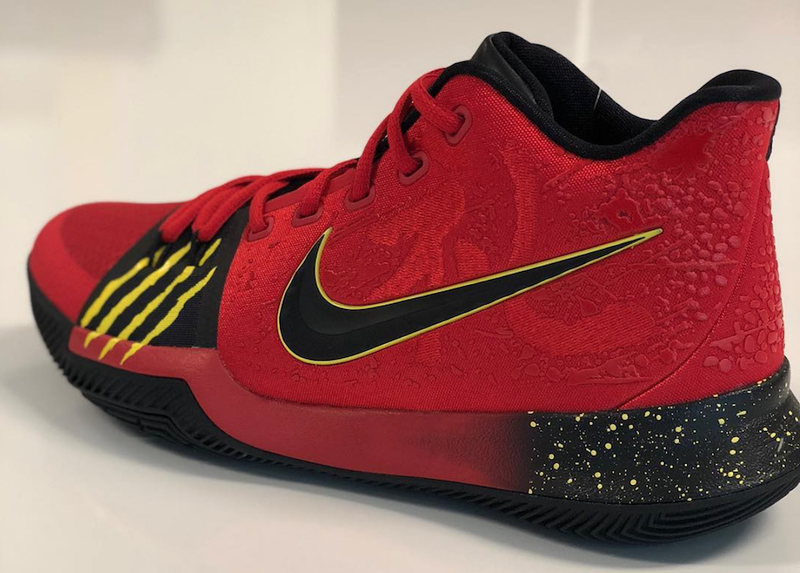 Scroll down and tell us what you think of the Red Bruce Lee Nike Kyrie 3 in the comment section and stay tuned for the latest news. these need to drop and please bless us with a kyrie 4 bruce lee yellow n if its s the volt toe ky rocked vs LAL n add slashes i am coolio with that!